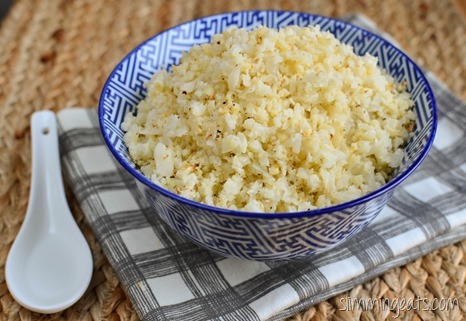 If you have ever made Cauliflower rice, chances are you’ve ended up with some of it scattered all over your floor, counter tops and every crevice in sight. It has a habit of getting EVERYWHERE. Well not if you make it how I give details to below. I was determined to find a way to keep it from spreading across my whole Kitchen and this works pretty well. It also tastes amazing like this, I was never one for microwaving the stuff, as it leave a not so pleasant stench through the room. Line a large oven proof tray with some parchment paper. 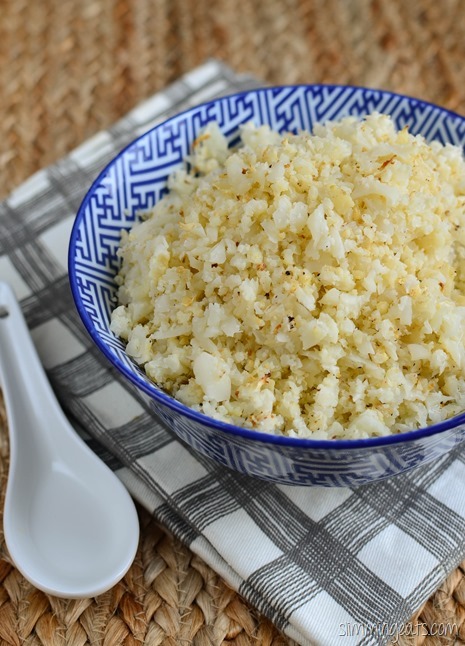 Place the cauliflower on the tray and break up into smaller florets, the idea, is any small pieces that fall off when doing this, will remain on the tray. 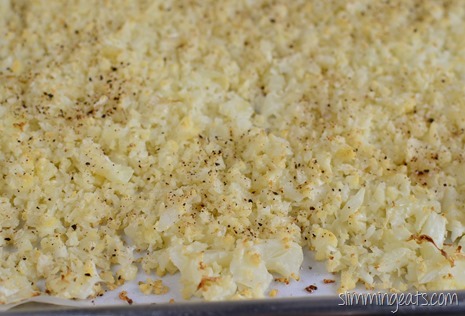 Spread out over the tray in a thin even layer and season well with salt and black pepper. Spray over the top with some oil, place in oven and bake for approx 30 mins, it will just start to of browned on the edges and have a lovely roasted flavour. How long will this last in the fridge? I’m trying to make enough for four nights worth, and not sure it will hold up until the last night. Thank you! It should be okay for 4 nights max, I’d say. You can always freeze it cooked too, it takes very little time to heat up, you can just add to a pan or place in a hot oven till heated through.